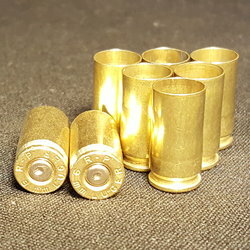 10MM Auto Once Fired Brass | DiamondKBrass.com | 100 Ct. If you're looking to stock up on reloadable 10MM brass Diamond K Brass offers great prices for those who like to buy in bulk. 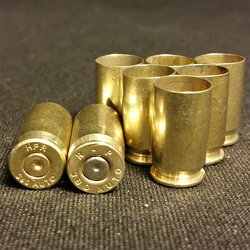 Our 10mm brass comes from indoor shooting ranges and military sources. The round has been carefully cleaned to make sure no lead/nitrate residue or range debris remains. 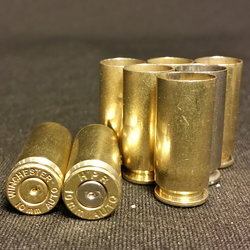 We make sure these casings are clean and ready to load! And you can choose to have them tumble polished for an extra fee. Our 10mm brass comes with mixed commercial head-stamps, and your shipment may contain both brass and nickel finishes. All of our brass is guaranteed. Diamond K Brass offers a wide selection of once fired reloadable brass and reloading components for either recreational or commercial reloading purposes. When you stock up on your 10mm brass for reloading, be sure to check out our other calibers you might need, as well as reloading components and accessories. Interested in a bulk purchase? Call us directly at 1-855-357-3030, and we'll be glad to help. 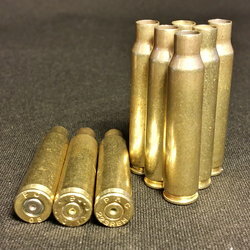 We supply quality reloading supplies and tools to both individuals and commercial reloaders. Whatever you may need for reloading, Diamond K Brass has it all. We not only ship fast, but we even ship 2% more than your order so we can be sure each customer is satisfied.